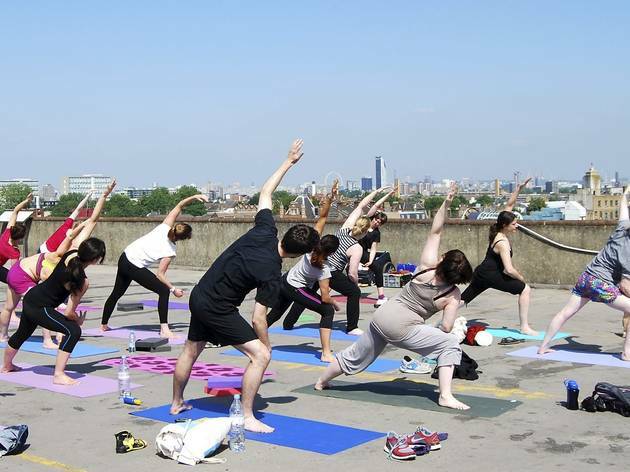 It makes sense that sun salutations are more satisfying when you're actually near the sun, so taking to the roof of a car park in Peckham to do yoga isn't as far-fetched as it first sounds. And yes, it is the very same car park in Peckham that's home to Frank's and the Bold Tendencies sculpture project. Saturday classes are a gentle session of Dru Yoga to ease you into the weekend, while you can kick start your Sunday with the more energetic Vinyasa Flow class. Rain needn't ruin the vibe, as the class simply moves down a floor. Booking essential. 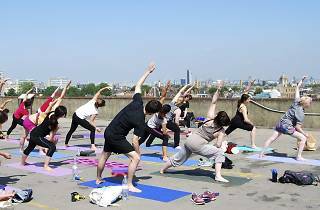 had my first dru yoga session in Peckham on saturday - not only was we blessed with the weather but we was blessed with a fun, easy going and encouraging yoga teacher in Lucy who made the whole session very enjoyable. Ive tried many classes and styles and Dru Yoga mixed up some moves which I had not done before which was very good. If you around i definitely recommend the class! :) see you on the roof!